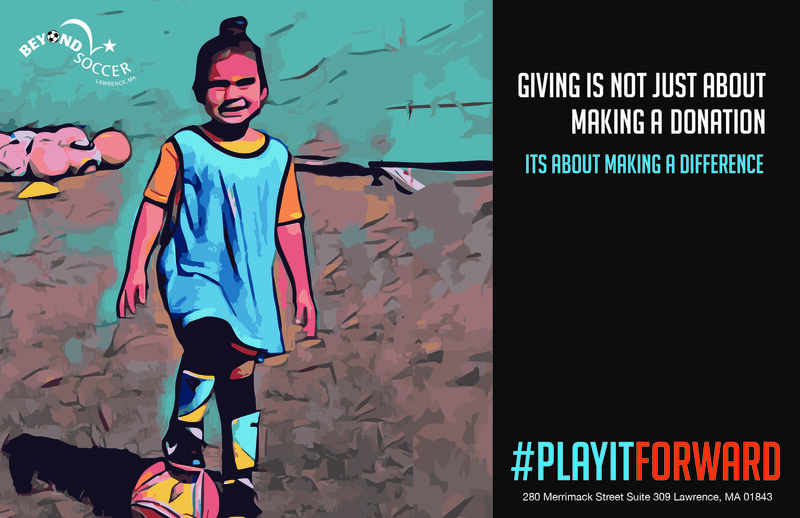 Help us continue #PlayingItForward in 2019 for Lawrence youth! ♥ If we raise $15,000 we can train and hire 10-16 Coach Mentors, like Will Inirio, from Lawrence who leads the Grade 4 boys Storm team, a team he used to be part of when he was a kid! Read More & DONATE TODAY! ♥ If we raise $15,000 we can add 2 new travel teams in 2019, which means 40 new middle school girls will start benefiting from our year-round sport, health, leadership and academic support system! Please consider making a tax deductible donation today to help Beyond Soccer youth develop skills, connect to caring coach-mentors, improve their health and make crucial scholastic gains.